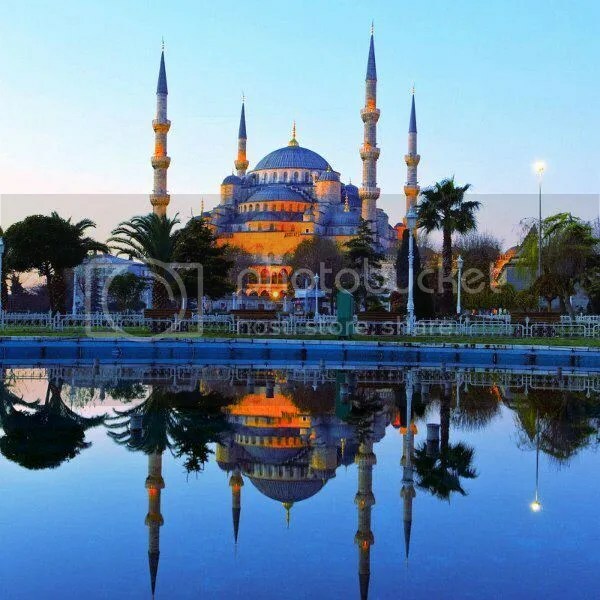 At the World Chess Olympiad, generally Round-1 is a warm-up for the higher seeded teams and Round-2 is when each team starts to heat up their respective team engines and setting up the pace to keep abreast with the other teams. For Round-3, is staying on the lead for the leading teams and a catch-up round for slow starters or to those who were not able to stay in pace with the leaders. 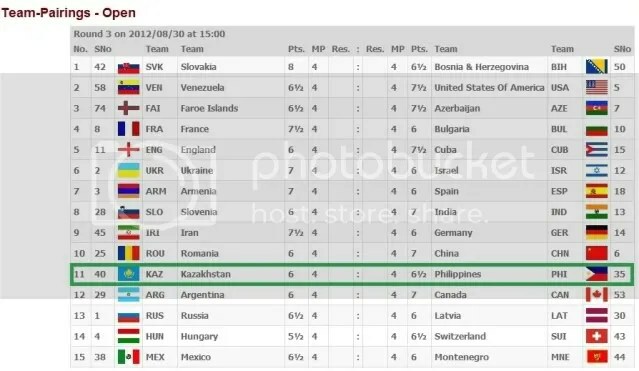 Team Philippines (Open/Men) after winning rounds 1&2 and now pacing with 33 other teams with a perfect score of 4-points each (2-pts for a Team-Win, 1-pt for Team-Draw & zero for Team-loss) will aim for another win in Round-3 against #40 seed Kazakhstan to keep in pace with the early leaders. 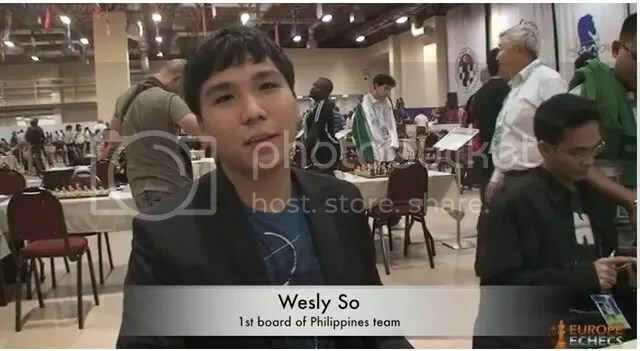 While Team Philippines (Women) who responded well at the sound of the Olympiad’s starting gun by winning Round-1 had slowed down a bit due to a narrow loss, 2½-1½, against the #16 seed Slovenia. They remain at 2-pts after Round-2 and will be aiming for a catch-up win against #58 seed Turkmenistan.